More women are turning to the use of firearms for self-defense and the safety of their families in and out of the home. In the past five years, 18 percent of women have become more interested in gun ownership, resulting in 12 percent of women owning a gun and 32 percent of women living in a household with a gun. Why the increased interest? Fear. Quigley said guns play an important role in society because they can stop a sexual assault experience. Every two minutes a woman is sexually assaulted in the US, and guns may be the only thing that can really protect women from such a situation, Quigley added. Republican Senator Ted Cruz said the issue also extends to safety in the home, and women have every right to take steps to ensure the protection of themselves and their children. “If you’re a single mom living in a tough neighborhood, the Second Amendment protects your right, that if someone comes through the window trying to harm your kids, you have a right to be armed to protect your family,” Cruz said. In case of such an emergency, clubs and organizations have come together to teach women how to shoot and properly handle the weapon. Owning a gun doesn’t do any good when your home is broken into or a man comes at you if you don’t know how to wield your gun, Quigley said. However anti-gun supporters say guns in the household can be dangerous for all and may not be worth the risk. In a study conducted by Florida State University, research found that successful defensive gun use is extremely rare among most people. Another study showed that 118,000 people are injured, killed or commit suicide with a gun annually. Experts also believe domestic violence can easily turn into homicide if there is a gun present in the home. In 2014, more than 1,600 women were killed by men, and the most common weapon used was a handgun. Reports show women face the greatest threat from someone they know, such as a spouse. 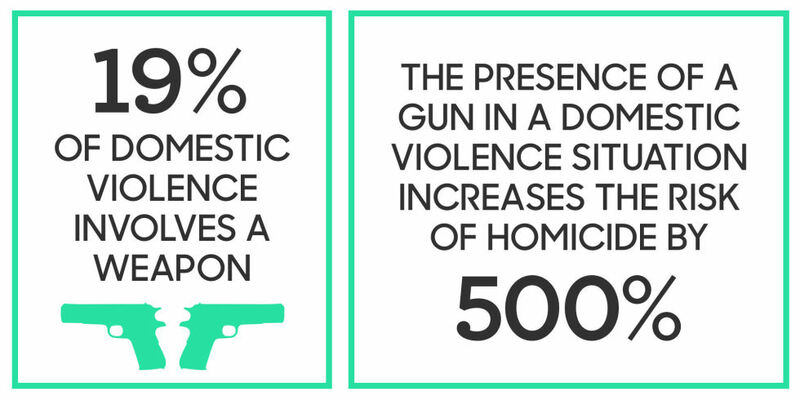 Having a gun in a household that struggles with abuse can be dangerous and even deadly. Despite the dangers of owning a gun, there is bipartisan agreement that women have the right to take steps for their own safety. “Female head of households and single professional women rely on themselves for economic security and now for physical security, as well,” said Republican Strategist Cheri Jacobus.